Aaliyah Pauling (No. 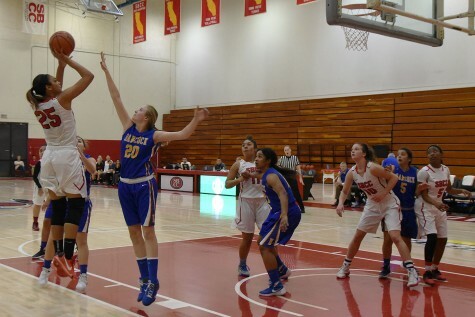 32) jumps to make her first basket of the game against the Ventura Pirates with Madison Cvijanovich (No. 12) on her left, and Ladaesha Merriweather (No. 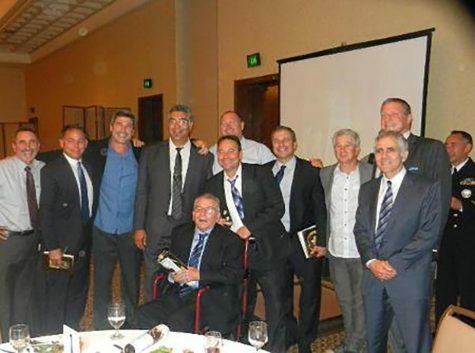 24) on her right, on Saturday Feb. 9, 2019, at City College in Santa Barbara, Calif. 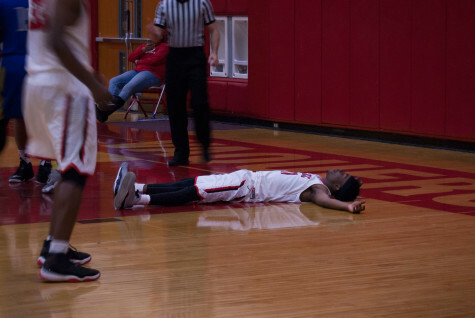 The Vaqueros lost to Ventura 69-58. 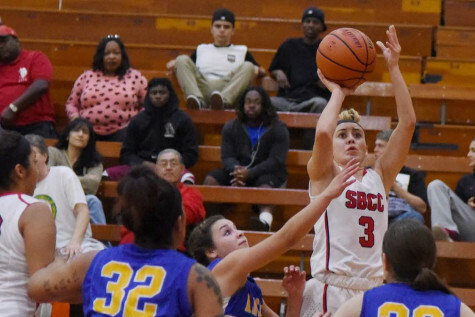 The City College women’s basketball team was defeated by the Ventura Pirates 69-58 Saturday night. The Pirates led the entirety of the game but it remained close. 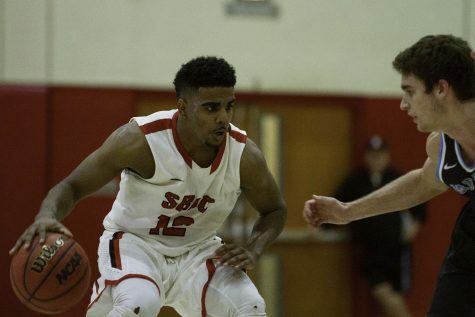 The loss dropped SBCC to 14-9 on the season. 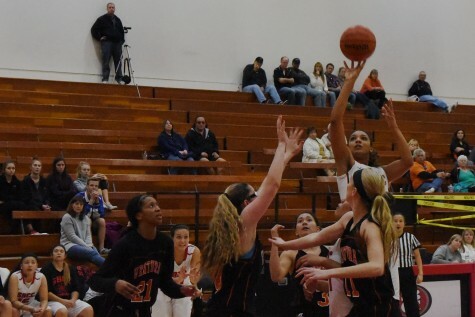 Aaliyah Pauling led the team in scoring with 15 points on 5 of 20 shooting. She also posted seven rebounds, six assists, and a block, which were team-highs in each category. Maaria Jaakkola, Meagan Moore, and Sierra Cavaletto also contributed, scoring nine, seven, and seven respectively. The Pirates were led by 24 points on 50 percent shooting from Talia Taufaasau. Bench player Robin Prince added 15 rebounds, and seven on the offensive end. The full box score for both teams can be found on the Vaqueros website. The Vaqueros got off to a slow start, hitting only one field goal in the first quarter on the way to a 20-6 deficit. Their shooting improved as the game went on, particularly from three-point range. 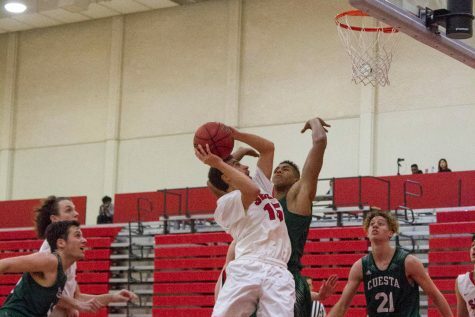 The Vaqueros hit 11 threes, five of which came in the third quarter alone, and only four two-point shots over the final three quarters. 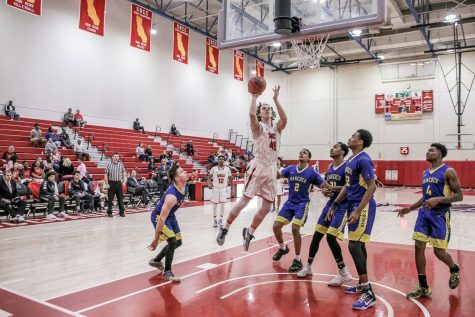 The gap narrowed to five points with four minutes left in the game, but an SBCC scoring drought, a timely Pirates three-pointer, and five converted free throws from Taufaasau helped Ventura hold on to seal the win. However, she said that she did not blame the strategy for the loss, complimenting the preparation of assistant coach Devin Engebretsen. She pointed instead to the effort from the starters, mentioning that it was the second unit that cut the deficit to five in the fourth quarter before the first-team returned. “When you play hard you make shots,” Krul said. 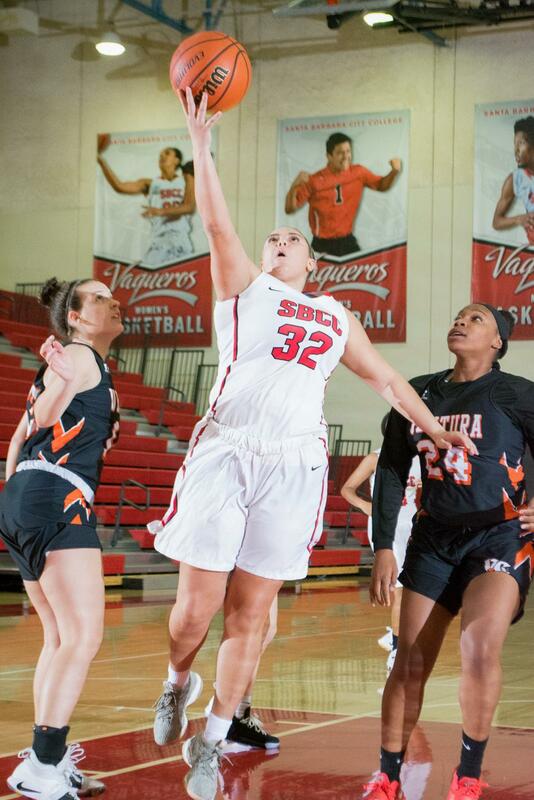 Maaria Jaakkola, who hit a game-high three threes on four attempts, said after the game that there were positive takeaways from what she called a “tough loss.” She said that the team played well as a group and praised the Vaqueros’ energy. Krul continued to emphasize effort when asked how the team can improve going forward. “You only get better by playing hard,” she said. She finished by pointing out that it was a close game and the team is still having a good season. 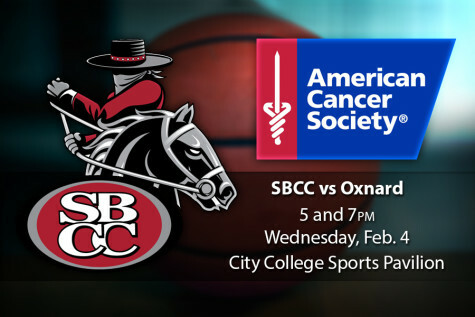 SBCC plays their next game at 7 p.m. on Wednesday at Moorpark. 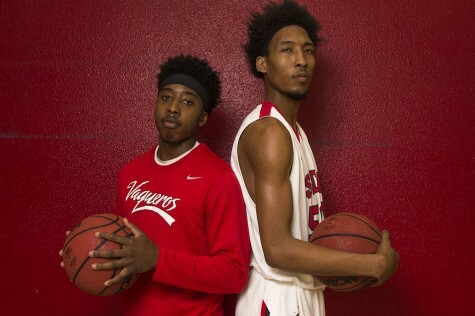 Their next home game is against Cuesta at 7 p.m. on Feb. 16. The full schedule can be found on the Vaqueros website.